Why buy doll furniture when your child can make her own? This kids' art activity teaches a lesson in reuse, while letting your little artist craft something completely unique. I’m a bit of a sweet tea addict. That means I have tons of bottle caps hanging around. Instead of tossing them in the trash, I reused them and made this super-duper simple doll furniture. Really, it’s so easy it’s ridiculous. Ok, so it might not be sturdy enough to take your 3-year-old’s fast pitch throw across the family room, but it’s a creative way to repurpose an everyday household item into a pint-sized plaything. I have a son. 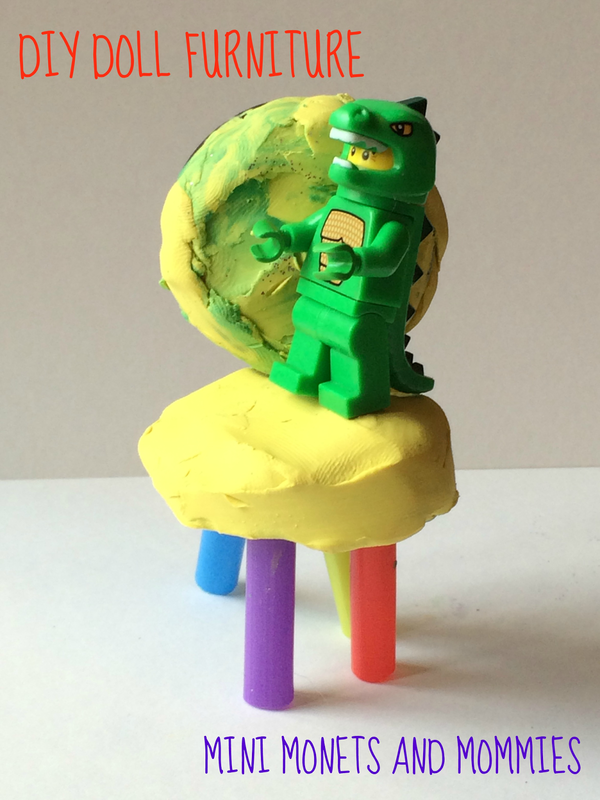 As you’ll see, our reused bottle cap doll furniture is now being used by a Lego dude (in a T Rex costume, no less). So, this art activity isn’t just for the little girls out there. Boys can get in on the action and make some fantastic furnishings as well. · Bottle caps- the wide-mouth ones work best. They have more surface area to use. 1. Cut one straw into four 2- to 3-inch sections (or use a few different ones- I had a multi-colored pack). Make sure that they are even. 2. Ball up clay into the size of a dime. Have your child make four. 3. Push one straw piece through each clay ball. 4. Turn the bottle cap over. Press the clay balls into the bottle cap to make table legs. 5. 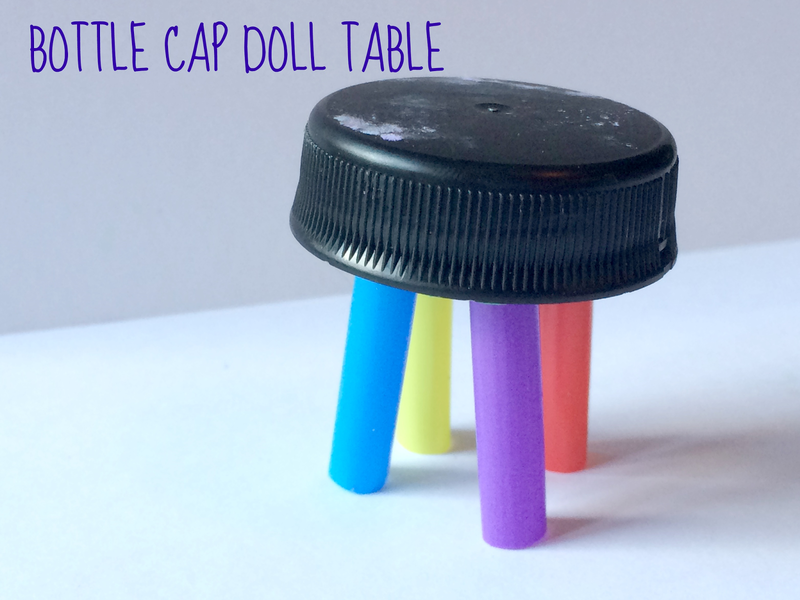 Turn the cap over, and your child has a teeny tiny doll table! 6. Add a back to transform the table into a chair. Cover the bottle cap top with clay. Have your child smooth it over the cap. 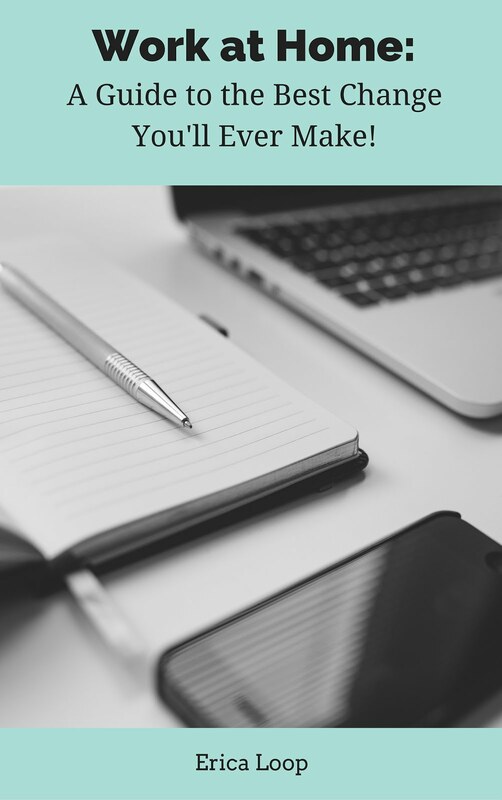 Cover another similarly sized cap in the same way. 7. Insert the new cap straight down into the top of the table (it’s now the seat of the chair) to make a back. If you’re worried about your child’s dolls getting covered with clay, use tissue or construction paper and school glue. If you go the paper and glue route, you’ll need to wait for the chair to dry before she uses it. make sure that you actually try one of the chairs out in a showroom. Here you will be able to accurately measure it in its upright and reclined positions chairs for small spaces.